1. Why do you create artistically? ( ) To communicate something I appreciate. ( ) To put ideas across to other/s as I see or understand them. 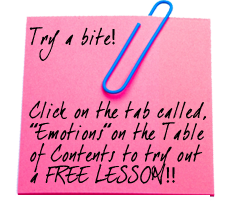 ( ) To help imagination skills, memory or awareness. ( ) Free time creative activities. ( ) To supplement school activities, knowing that creative needs were reduced. ( ) Helping yourself or another to freely originate ideas, rather than just taking in data. 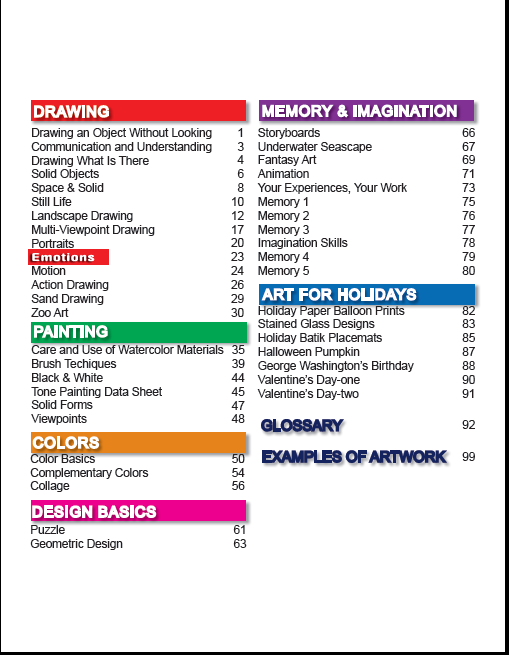 ( ) 52 art lesson plans that may be done without outside supervision, allowing each to do them at their own comfortable speed. 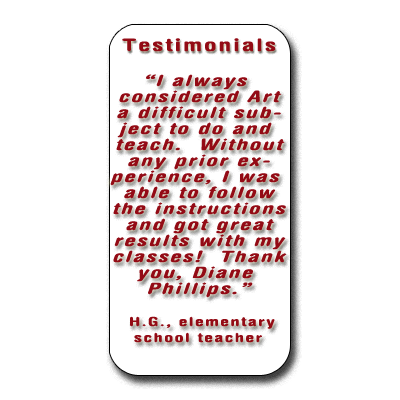 ( ) Art lessons that require little theory, or supplies, yet with purpose and satisfying results. If you answered yes to any of the above questions, we invite you to check out and order Diane Phillips Piece of Cake Art ™ book here.